Improving the overall customer experience is a top business priority for companies and the main driver behind their digital transformation goals for 2016, according to a new Accenture study “Digital Transformation in the Age of the Customer”. What simple and practical steps can your company take in order to meet consumer expectations for efficient digital experiences? Below are a few of such steps. Website is your business card for online visitors, that’s why it is important to keep it neat and clean. A study found that a ten-second wait for a page to load can make 50% of consumers give up and leave. It is obvious that a website begins losing traffic to competitors when it takes longer to load. When people have a less-than-favorable online experience, they fault the company immediately. So it is important to optimize your website for quick load and navigation. Make sure that your website features up-to-date information concerning your company and the products your offer. Monitor your pages for any broken links, bugs, test usability. Have a convenient contact form in place so that your customers may leave a feedback or point out to some discrepancies. Map out a customer journey through your website and make sure that your content is structured to address the customers’ possible issues and, on the whole, makes their navigation easy and smooth. In today’s digital generation it’s no secret that customers have very little patience when it comes to waiting for a response from a company. According to Fonolo, 82% of consumers say the number one factor that leads to a great customer service experience is having their issues resolved quickly. When purchasing online, 71% of visitors expect assistance within five minutes and expectations are growing from year to year. Some companies lead the way and set the bar of customer expectation very high. For example, DisneyStore.com have one of the fastest email response times at 01:47:40 and one of the slowest hold times for phone support at just 12 seconds. If you can achieve some average response time, 1-2 minutes if it’s an online chat request or a phone call, a few hours for an email or social media request, that in itself is a great move forward in building a relationship of trust with your clients. Be aware of the difficulties your clients are facing most often and make sure that your self-help resources, such as user manual, FAQ, About pages etc., are designed to provide quick and easy solutions to those issues. Structure your resources so that they can be navigated easily. By adding video instructions, links to specific queries and options for escalation to live help, whether live chat or voice, your customers will feel confident at your website and will be well-equipped with resolution tools at any medium they may choose. Nurturing user communities is another great way to empower your customers and allow them to help themselves, as well as other users. A customer community can act as a self-help network, generate valuable user content and be a source of ideas for product development. Service teams should be trained to encourage and stimulate the growth of user communities. The most successful tool to fight customer attrition and build stronger customer relationships is creating personalized customer experience which is unique to your business and the individual customer. Customer expectations around personalization will continue to grow in 2016. Today’s customer expects personalized messaging to go beyond just addressing them by name. While they don’t necessarily need perfect personalization, they want to receive positive experience while satisfying their needs. Your business can delight customers with contextual messaging that draws upon their location, the type of mobile device they’re carrying, the current weather and the time of day. You can implement solution for personalized product recommendations onsite, in email campaigns and in display ads. 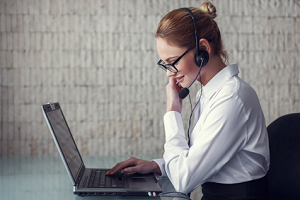 When it comes to customer service, consumers are pleased when they call a company for an order status and the company’s systems recognize who is calling and can anticipate their inquiry. 56% of online shoppers share that they expect retailers to use what they know about them from past purchases and interactions to make it more personal and convenient for them to do online shopping. This requires from a company to get equipped with a technology that is predictive and personalized. Personalized messaging strengthens engagement and increases sales, thus helping to build longer lasting customer relationships. Email is a great way to keep in touch with your customers and built rapport. It is important, however, not to misuse the channel by sending too much salesy messages, or you may come across as a spammer and will lose the trust of your clients. Share information which is helpful to them and which, in their turn, they can share with their friends and relatives and become valuable to them. Bringing value consistently will foster the digital relationships that your company needs in order to succeed. Being able to actively measure how customers feel about your product and to what extent your company is meeting their expectations is an important tool for maintaining relationships you have already established. Giving your customers exactly what they want is one of the best ways to increase sales, build trust and gain repeat clients. To figure out what your customers’ needs and preferences are, running a survey is very efficient. Customer surveys and feedback can be collected via email, social media or on the website. There are many dedicated platforms which allow you to send targeted surveys to customers through different channels. SurveyMonkey, Qualoroo, Qualtrics Vocalize are just a few examples of such platforms. The average US consumer now owns two or more connected devices and their ownership continues to grow. Naturally, consumers expect to be able to use all their devices in order to complete their online tasks simultaneously on several devices or being able to start a task on one device and complete on another. The explosion of digital services mean requires companies to understand the entire customer journey and not just optimize contact points individually. Forrester in their “Digital Customer Experience Teams In The Post-PC Era” report offers 3 effective tools for meeting consumer expectations for unified digital experience: developing a clear digital experience strategy, training your CX teams essential skills and taking an ecosystem approach to digital resources. Building unified and pro-active cross-channel services will deliver differentiated customer experiences that will help to maintain digital customer relationships, drive loyalty and repeat sales. Surely, digital is only one part of the customer experience, but it is a big part. Ensuring the accumulation of mini-experiences across multiple touch-points is seamless and positive is the key to success in building and maintaining digital customer relationships. In addition to the individual effort within a company, it is also worthwhile to consider using third parties to make it cheaper and faster to implement and execute your digital strategy. The current stats are, 45% of the respondents work with providers to enhance the customer experience. Most likely, this number will continue to grow. What steps does your company take to ensure great digital experience for your customers? Please share your experience and insights. This entry was posted in Articles, Best Practice, Tips and Tricks and tagged digital customer experience, digital customer relations, digital tranformation of customer experience, going digital in customer service, how to build digital customer relationships. Bookmark the permalink. Great article, Maria and all the strategies you mentioned are important. I found that another powerful dimension was to use Videos specially with Video emails with your interactive contact details and Video conferencing to build that relationship with clients and remain “top of mind” . I discovered a tool suite that provides all these “relation building” options at affordable costs so even small businesses can benefit of this trend. Agree with you, Olivier. Video is another great tool to support business relationships. I think it will be used more and more in the future. Despite higher cost of production, it has greater impact, as customers will remember a video for much longer than a text message. Thank you for sharing your experience. Maria, a lot to think about here so thanks for the article. I would change point 6 to extend to create digital experiences based on your users needs – research your users. Thank you for your comment, Sharon. Agree with your point. Surveying is important not only as a feedback, but as a research tool also. Great post Maria! The arrival of the digital age has made digital connect between the customer and business an absolute must and that’s why building online relationships has become the secret to get success. Customer identity management is an essential ingredient for digital customer experience, with the needs and tastes of customers changing at a fast pace to sustain brand loyalty and build long term relationships. What are your views on this? I’m glad you liked the post, Bonny. Thank you for your feedback. I think customer identity management is important. It is certainly helpful to businesses and many customers appreciate when then company has a record of their interactions with the company, their purchases, tastes, interests etc. However, many customers still prefer anonymity, so I think identity management needs to be a transparent procedure, where customers are given the chance to opt out of their data being stored. Agree with you, Shaki. Relationships are the most difficult thing in life, whether it is business or personal ones 🙂 Thank you for your comment. Thanks so much for this post! This is the most helpful information for me to use at work! It is a nice way to show that you really care and value your customers’ time. Thank you for your feedback, Shaki. I’m glad to hear the tips are useful to you in your work. How can a digital company maintain customer satisfaction with so many hurdles along the way? It’s not an easy job indeed, Sivanesan. It takes time and dedication. Thank you for your comment, Emma! Yes, Shakira, it is so much more complicated these days )). More challenging, but at the same time, more rewarding for both companies and customers. Thanks so much for this post! This is the most helpful information for me to use at work! Thanks for your feedback! I’m glad the post is helpful to you. I have to agree with you, Maria, that getting feedback from your customers is one of the best ways to build a relationship with them. Surveys don’t come just with the benefit of a big pile of data, but they actually make the customer feel like he has a role on improving your product or service. However, if we are talking about classic surveys, in my opinion, the real challenge would be to convince customers to provide a real opinion. A good practice that most companies do these days is “repaying” their customers for completing some surveys, giving back coupons or free products. Thank you for sharing your view, Jacey. I agree with what you said and I think what strengthens the relationship even more is when the customer gets to see how the company is actually changing, improving – acting on the feedback. But of course, each step is important – from setting up surveys correctly, to inducing customers to fill them out, to rewarding customers, to acting on the feedback. A lot of work and attention!